Let’s Get A Free Quote Now! Are you looking for affordable, reliable and high quality custom embroidered patches manufacturers? Now you're in the right place. 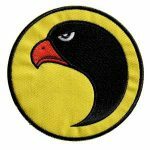 Mallpatches is an experienced manufacturer of custom patches and embroidery. 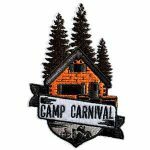 our main products include Custom embroidered patches（scouts patches, military patches, motorcycle patches/punker patches, airsoft patches, fire department patches and so on）, Chenille patches, PVC patches, Sequin patches/Glitter patch , Woven label, Bullion patches, Printed patches, Leather patches, Stickers and Rhinestones patches. We can do iron on backing, Velcro backing, Pin backing and so on. 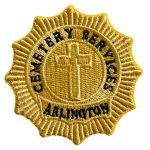 We have over 18 years of experience in custom embroidery patches.we display our company via google and provide one-to-one service towards online offer, sampling, production and delivery. We can either work off the artwork/Photo that you send to us or have our talented design team create patches design for you. Either way, you will get a proof that show off your unique ideas and personality within 24 hours.Mallpatches goes the extra mile to make your order of patches stand out in a crowd. We can make your design stand out! There is no limit to what you can create patch. Any Size, Any Color, Any Design, Any Options whatever you want. Unlimited editing until you're satisfied. We offer competitive price and good service even for an order of a single patch. In case of any quality problem please contact us immediately for easy returns. Every standard order ready to ship within 2~5 days. We also offer rush service to meet tight deadlines. We only use the best factories and hand inspect every order to ensure everything meets our high standards and yours. 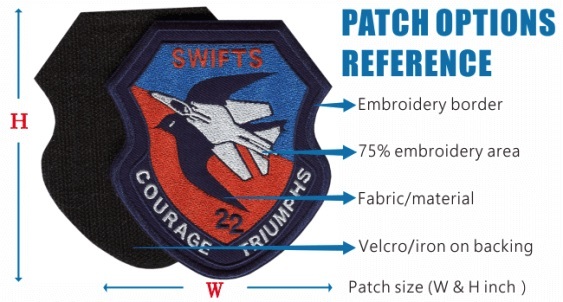 Our team of talented designers works with you to create patches that reflect your group's interests or mission. There is no limit to what you can create. 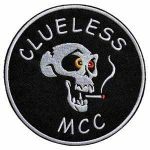 custom woven patches, custom pvc patches, custom chenille patch, custom velcro patches, custom motorcycle patches,custom police patches, custom rocker patches, custom iron on patches, custom embroidered patches, custom sew on patches, We supply top quality patches at great prices, Stand By Return Policy. We make beautiful custom patches for any purpose. 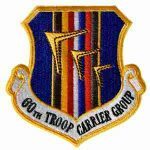 Whether you are part of an organization, a member of the military, celebrating an event, remembering a loved one, or simply love patches, we can create your perfect patch. 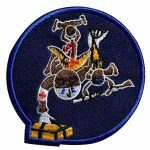 We use the finest quality threads, fabrics, and workmanship, so your patches will be durable and will look great for years to come. Got the patches today & I love them… I’m usually skeptical about ordering from overseas but you guys did awesome work and maintained communication throughout the entire process. Thank you for your service. Everything is great! I got them today. You guys are awesome and will recommend you guys. Thank you for your great customer service. Hello Sunny, I have received the patches. I am very pleased with the outcome. Thank you so much for the wonderful product but most importantly the outstanding customer service you provided. Copyright © 2010-2019 mallpatches Co.,Ltd. This site such as inadvertently violated your intellectual property, please write and tell, we will immediately give deleted.